Seattle Tolls Coming to Mercer Street?! The Wall Street Journal recently published an article about New York and cities around the world looking into tolling not just freeways, but individual roads in an effort to curb traffic jams. New York is known for its heavy traffic and hustle and bustle lifestyle. 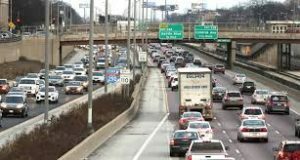 New York has seen heavy traffic times create longer traffic jams slowing travel time from 6mph to 4mph on average recently in certain areas. The study cites increased ride sharing drivers and decreased road space like bike lanes as one of the causes of increased traffic. 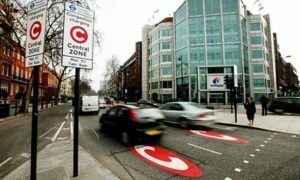 London has had tolls on some of their major roads to help ease congestion since 2003. The Wall Street Journal stated that congestion was eased by 30% the first couple years following implementation. However, congestion has risen again with the rise of Uber and Lyft drivers who constantly circle the heaviest traffic areas and are exempt from such charges. The city of Seattle also has traffic congestion issues not just caused by car accidents on the road. Seattle has much more people living and working in the city than ever before because of increased technology jobs booming the city which adds to the traffic. Additionally, Seattle has tried to combat traffic and pollution by cutting down lanes by adding bike lanes, which has further added to traffic times. 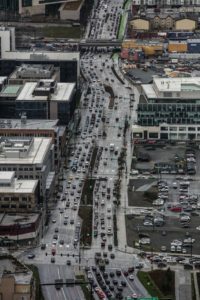 The city of Seattle is spending $200 million on a study this year to determine if a toll on some of it’s busiest roads would help fund city roads and ease congestion. The study most likely is targeting the ever crowded Mercer Street in Seattle that is getting busier and busier as new building continue to emerge around Amazon and other tech leading companies. Tolling roads will most likely lead to angry drivers and congestion in other parts of the city, as many people are not satisfied with current methods of alternative transportation such as buses, bikes, and trains. The trains do not go to many smaller suburbs of the city and do not reach far enough for commuters to realistically change their habits of driving into the city. Bus times often take far longer than driving your car into the city and do not give many people the freedom that they covet. However, tolling roads would add a source of revenue to the city to fund expansion of light rail and repair city roads that are constantly falling apart. Road Rage in Seattle Peaks at This Time? There is nothing more dangerous than someone with road rage against another driver with road rage in Seattle. Road rage on road rage creates an atmosphere conducive to a high probability of a car accident in Seattle with substantial injuries. Road rage is generally caused when someone is already agitated because they are under a lot of stress in one way or another. Something that creates a lot of stress is driving in traffic on your way home after a long day at work with a lot of stress. This means that the peak time that someone will experience road rage is generally from 4-6pm when people are commuting home from work in Seattle. An online study by Auto Insurance Center found that over 65,000 Instagram posts with the hashtag #RoadRage. They found that use of the tag peaks at 6:00 pm, presumably around the hour when commuters are stuck in traffic or just getting home. Washington state is 10th in the nation for drivers using that hashtag; Seattle is the 12th most prolific city when it comes to complaining about road rage, ranking above more famously angry drivers in Washington DC, Boston, Miami, Beverly Hills, and Hoboken. 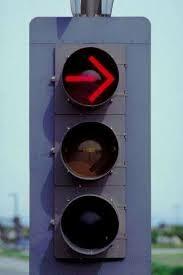 Road rage usually starts where one person feels slighted by another person’s driving act. It could be as simple as someone not using their turn signal when merging into the lane in front of you, cutting you off, driving fast, or more. When someone is already agitated and under a lot of stress, they may react by trying to get back at the other driver by driving fast to pass them. Once they pass them, they usually do the same thing that the other driver did to them and that they believe was done on purpose. Things get really dangerous when the second person gets road rage back. This creates a battle of who has the bigger ego and who is the better driver, in a sense. The person that originally created the original slight may feel slighted and then proceed to drive fast to cut off the other person only to hit their brakes, or brake check them. This behavior is extremely dangerous and causes a high likelihood of a car accident injury case to those around them and themselves. Usually when two drivers get road rage at each other, everyone else around them and those in their car are not even their in the road rage person’s eyes, only the other road rage driver. Road rage drivers will try to get back at the other driver until they have the last say and are vindicated for their actions, in a way. I have personally seen road rage drivers swerve across four lanes of traffic to block or chase the other driver, with both drivers swerving across traffic without regard to anyone else on the road. 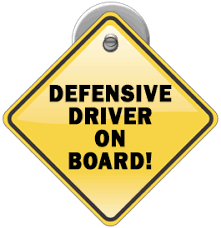 Often times these drivers are driving at a high speed, which means one false move and there will be a big injury car accident. Just four days ago near Seattle, a 60 year old man driving a car and a woman driving a motorcycle engaged in road rage with each other. This ended with the woman shooting the man and killing him. It is not just men engaging in road rage, it is woman too. Cars are dangerous killing machines capable of inflicting major damages to those injured in car accidents, yet we don’t always think of them that way because of the routine driving we do. 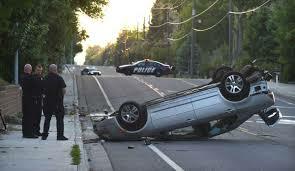 If you have been injured in a car accident, call a Seattle car accident injury lawyer today for a free consultation. A Seattle personal injury lawyer will be able to walk you through your case and figure out what you are entitled to. Do baby on board stickers work or hurt? You know the stickers. You have seen them everywhere. They are usually in the back corner of the rear windshield and is yellow stating baby on board. 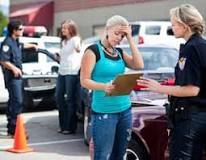 Does it help people avoid Seattle car accidents? Does it save babies lives in car accidents? 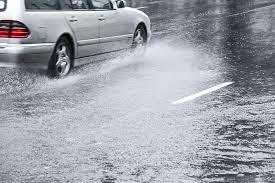 What affect does it have on people driving? Notify Emergency Personnel: The biggest reason people put the baby on board sticker on their cars is in a car accident injury situation to give emergency responders notice that there is a baby in the car so please come to this car first to check on the baby. Another thought is that the baby on board sticker alerts the first responders to not forget about the baby in case there is a car accident and people are injured. People Drive Slower: Baby on board stickers are good because they can warn people around them to drive carefully because there is a baby on board. This will help them avoid car accidents because Seattle drivers will drive more carefully around them. The thought is that people will drive more carefully around these cars because they want to protect the baby, they have had their own baby and know how important and fragile babies are, or that the person driving the car with a baby has a lot to think about so they may drive a little more erratic with a baby or young children screaming, throwing things, or otherwise distracting them. Make Moms a Target: Some moms in mom groups believe that baby on board stickers actually puts a target on their car for thieves and potential kidnappers. For this reason, some moms will shy away from putting the baby on board sticker on their car. Mom groups also think that the sign will be a target for stalkers to stalk you and learn your daily routine to steal away your baby or make you an easy target. However, many moms in these forums point out that you can just as easily tell a baby is in the car with the huge car seat in the back seat so the sticker is not a big giveaway as you might think. 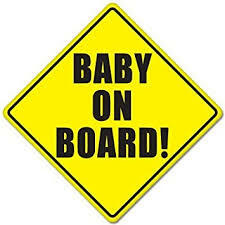 Distraction: There is one thought posted in a British website that baby on board stickers actually cause more car accidents because some people fashion the baby on board sticker in a spot that blocks the driver’s view out the back window. Most people know to place stickers that do not block their view in a car so that you can see out the back window. However, if the sticker is placed in an area that blocks part of that view, a Seattle car accident can occur because you may not see someone coming up behind you as you want to switch lanes. It seems that the best reason to have the sticker is for emergency personnel to go to your car first to check on the baby, who may be more prone to being injured in a Seattle car accident. 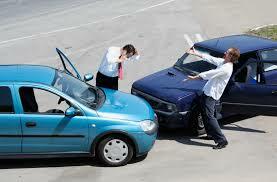 Additionally, you may see the added benefit of people driving slower and more cautious around you. I mean, who wants to cut off a car with a baby or drive erratic around them? No one. If you have been injured in a Seattle car accident, call a Seattle personal injury lawyer today for a free consultation. Seattle car accident injury lawyers are paid out of the settlement so everyone can afford one but you can’t afford not to have one.